(BOSTON, MA) – With people’s desire for tranquility and stress relief stronger than ever, fresh research takes an insightful look at flowers and the important role they may play in our daily lives. A behavioral research study conducted by Nancy Etcoff, Ph.D., of Massachusetts General Hospital and Harvard Medical School, reveals that people feel more compassionate toward others, have less worry and anxiety, and feel less depressed when fresh cut flowers are present in the home. Study participants who lived with fresh cut flowers for less than a week felt an increase in feelings of compassion and kindness for others. Flowers chase away anxieties, worries and the blues at home. Overall, people in the study simply felt less negative after being around flowers at home for just a few days. 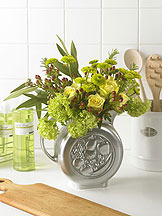 Participants most frequently placed flowers in their kitchens, dining rooms and living rooms, where they spend a lot of time at home. They reported wanting to see the blooms first thing in the morning. Living with flowers can provide a boost of energy, happiness and enthusiasm at work. Having flowers at home can have a positive carry-over impact on our mood at work, too. The study found that people were more likely to feel happier and have more enthusiasm and energy at work when flowers were in their home living environments. Editor’s Note: For high-resolution floral photography, visit www.aboutflowers.com/media. Nancy Etcoff, Ph.D., of Massachusetts General Hospital and Harvard Medical School and her research team investigated the effects of flowers in the home environment on well being. Fifty-four people, ages 25-60, were studied using a series of self-report measures allowing the research team to know where the person was, with whom and what they were doing when they experienced an emotion, both when flowers were and were not present. Half of the participants received a “control” home decor item, other than flowers, to ensure study validity. 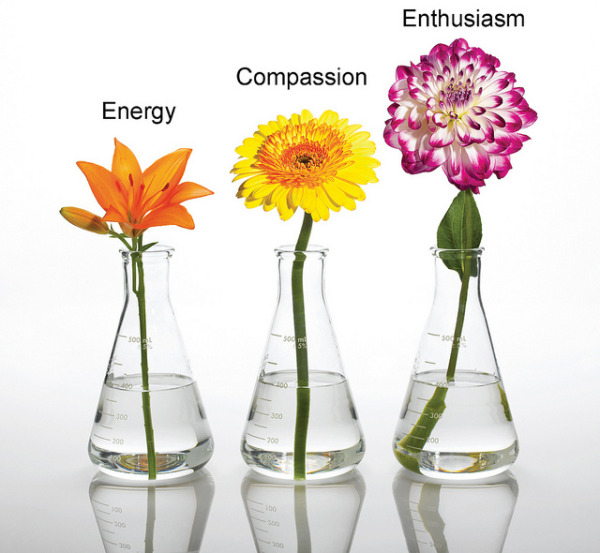 After living with either flowers or the control intervention for approximately one week, participants rated their feelings during specific periods of the day, recording emotions during each episode. The research team also took photographs before and after flowers were delivered to determine any changes in use or appearance of the room. Use these tips to put this historic floral research into action immediately. palette, such as a range of pinks). can perk up a room. on your way back inside.